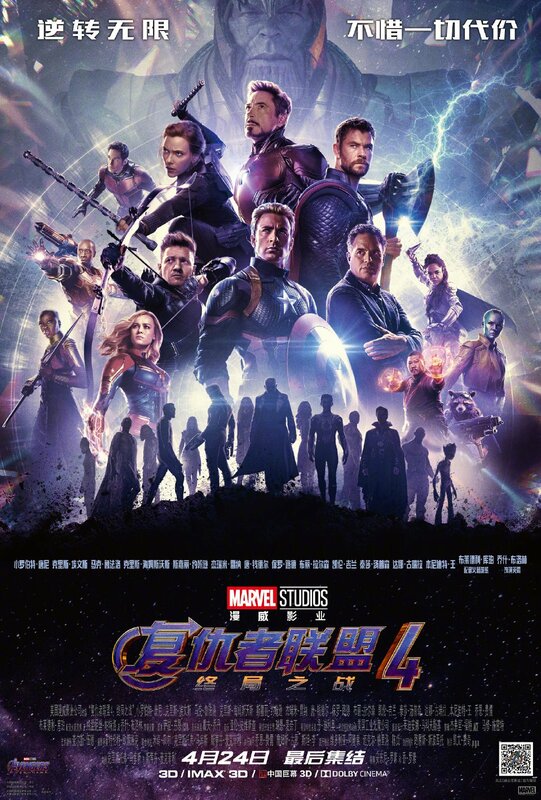 Spoiler-conscious Marvel fans in North America are in for a rough week leading up to the release of Avengers: Endgame, as we now have official confirmation that the Avengers: Infinity War sequel is dropping two days early in China. Earlier today, an international poster from the People’s Republic came out that displayed an overwhelming array of heroes, both living and dead. But while you were busy celebrating the return of Valkyrie or despairing at the sight of Shuri among the snap victims, one detail that you may have missed is the April 24th release date at the bottom of the image. Obviously, this is good news for fans over in China, though given how long we’ve already waited for Marvel’s Phase 3 finale, surely MCU enthusiasts in North America can hang on a couple more days to see what directors Anthony and Joe Russo have in store. In the meantime, while filmgoers in some territories have been able to book their seats for about two weeks now, recent reports indicate that tickets will become available domestically this Tuesday. If so, then theater chains and ticketing sites best be ready for the flood of traffic to come. In any case, though we’ve still got almost a month to go before the film’s release, Marvel has been finding plenty of ways keep us occupied this week, including a couple of new featurettes, and 32 character posters. No doubt we’ll be seeing plenty more promotional material emerge in the coming weeks, too, though probably not a whole lot of new footage. Regardless, you can judge for yourself if Avengers: Endgame is worth all the hype when it arrives in theaters on April 26th.